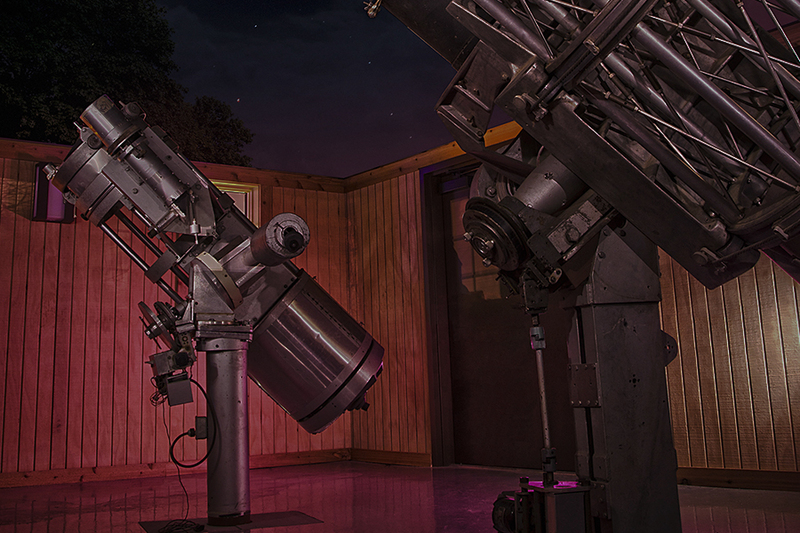 The Johnson Observatory at the Creation Museum boasts an incredible array of telescopes used for scientific research plus teaching opportunities for guests. The main observatory telescopes are the two 16-inch reflectors. One (the Souther) is a Newtonian, while the other (the Johnson) is a modified Gregorian. Both of these are permanently mounted. All of our other telescopes are portables. They include a 14-inch Ritchey-Chretien, two 12-inch Schmidt-Cassegrains, a 10-inch Newtonian, an 8-inch Celestron, a 6-inch Newtonian, a 5-inch refractor, and a 3.5-inch Questar. Can Creationists Be Good Astronomers? Yes! In fact, many of the foundational astronomers of the past like Galileo and Johannes Kepler believed in creation as described in Genesis. At the Creation Museum we have our very own creation scientist astronomer, Dr. Danny Faulkner, who taught for years at a secular university. 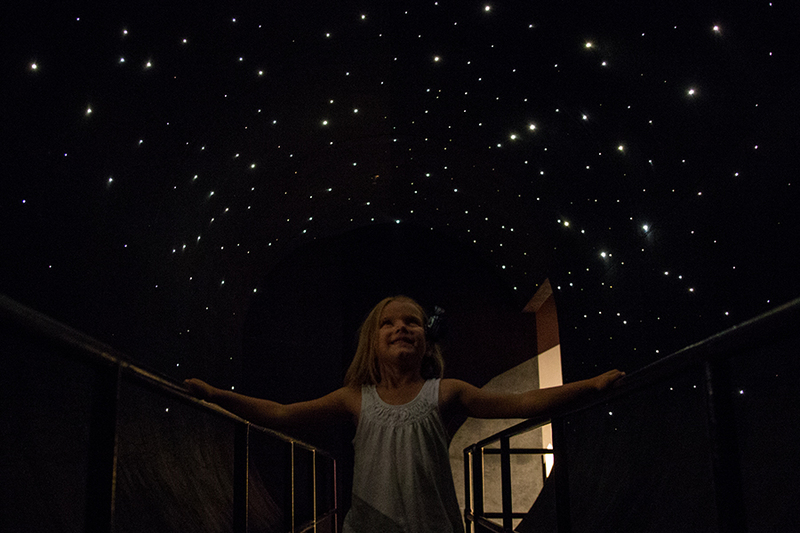 We like to give museum guests opportunities to explore God’s creation in the stars, sun, galaxies, planets, nebulae, and more while learning about outer space from a biblical perspective from Dr. Faulkner. You can become a creation scientist for a day when you join us for one of our hands-on astronomy workshops at the observatory. The unique Johnson telescope was built more than a half-century ago by Lisle Johnson. He had fabricated the mount at least a decade earlier from the nose landing gear of a World War II aircraft. A few years ago, this telescope and another (the Souther) were moved to the Creation Museum where a Tudor-style structure with a roll-off roof was built to house it. The Johnson Observatory was dedicated in April 2012 and is appropriately named for Mr. Johnson.